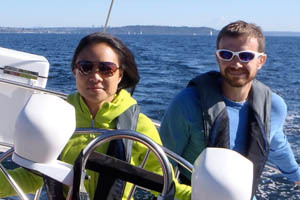 Enjoy YOUR OWN PRIVATE SAILBOAT IN SEATTLE, PUGET SOUND, AND BEYOND. 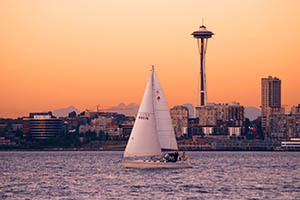 Upbeat and her crew provide luxurious private sailboat charters out of Seattle for groups of up to six people. Anytime, anywhere you like in Puget Sound, or even beyond. We’re a small family-run boutique sailing company offering a customizable sailing experience on our safe, modern and comfortable 42’ Catalina. Let our experienced and affable crew take you on a memorable journey...adventure awaits you! 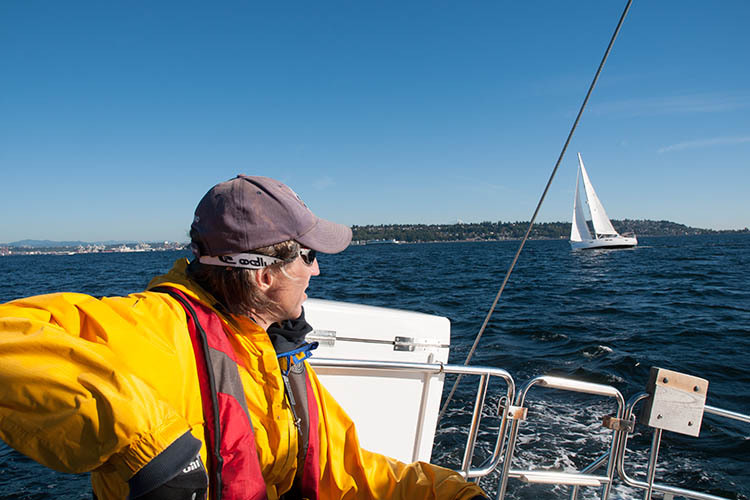 Whether you want to explore Central Puget Sound, have lunch at Port Madison, or sail to the San Juan Islands, Upbeat and her crew are here to make your sailing dream a reality. We offer half-day, full-day or multi-day adventures to any destination you desire. Sailing with us couldn’t be easier, and it’s more affordable than you think. With low rates a great on the water adventure is just a phone call away. 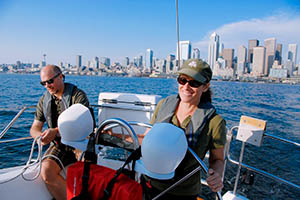 Make your reservation, meet us at our convenient Shilshole Bay location, and you’re on the water in minutes. Our safe, modern, and comfortable yacht was designed for cruising. You can enjoy the view topsides in our spacious cockpit or on the foredeck, have a meal in the comfortable seating area below deck, or catch a nap in one of our comfortable staterooms.